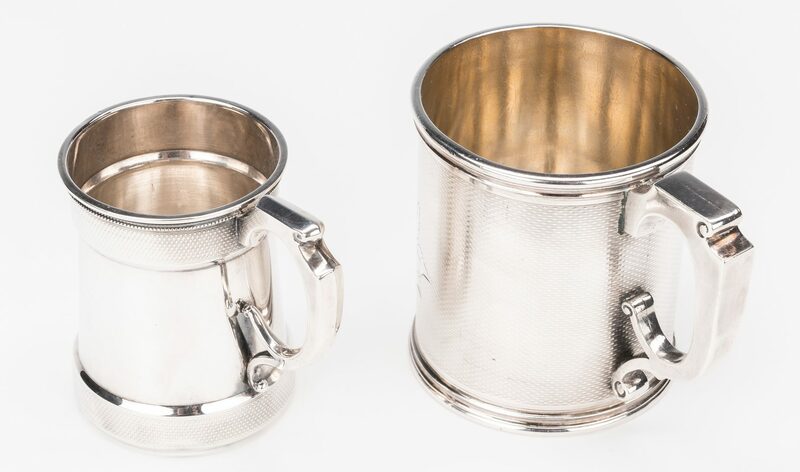 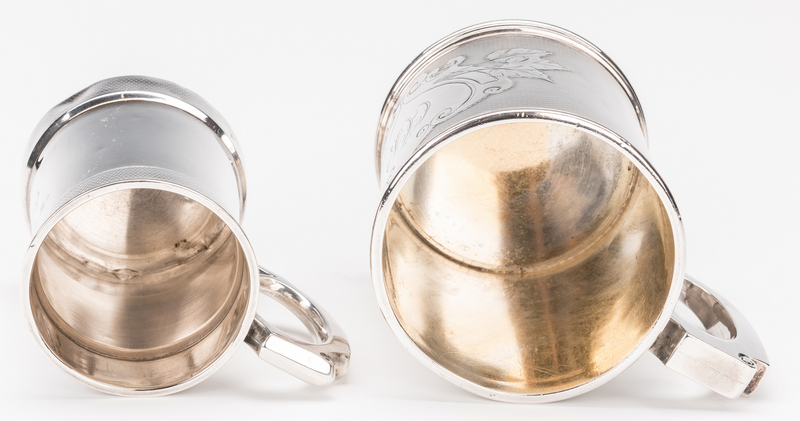 2 Coin Silver Mugs. 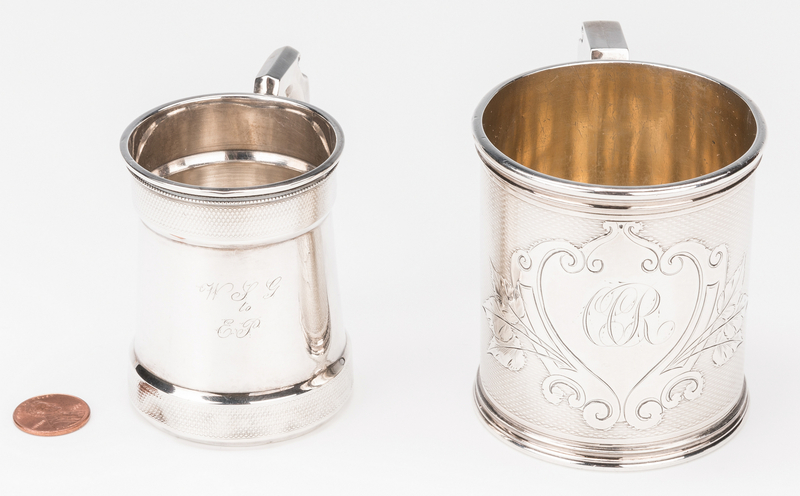 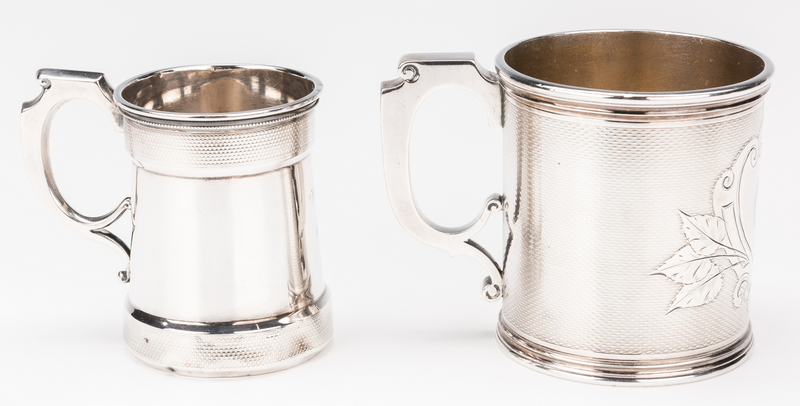 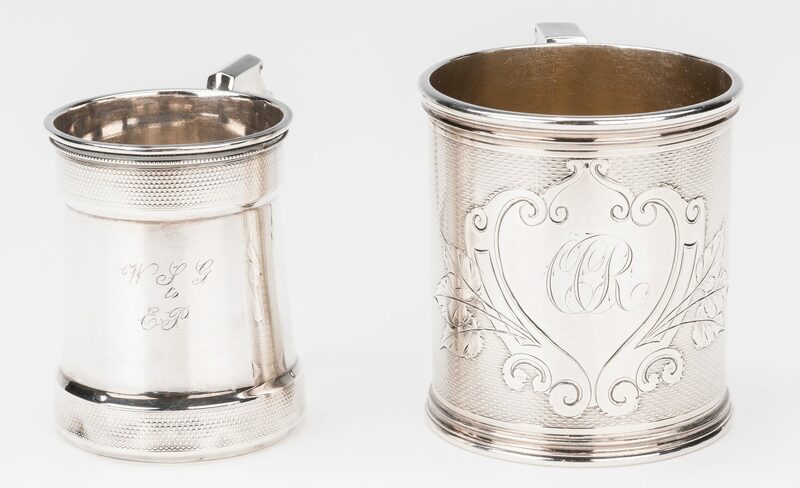 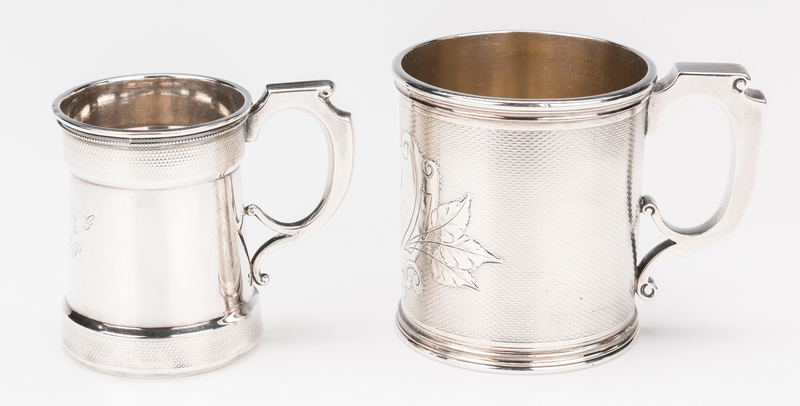 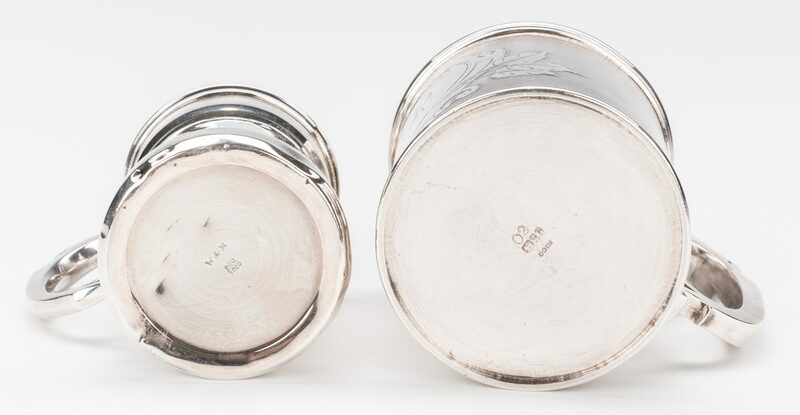 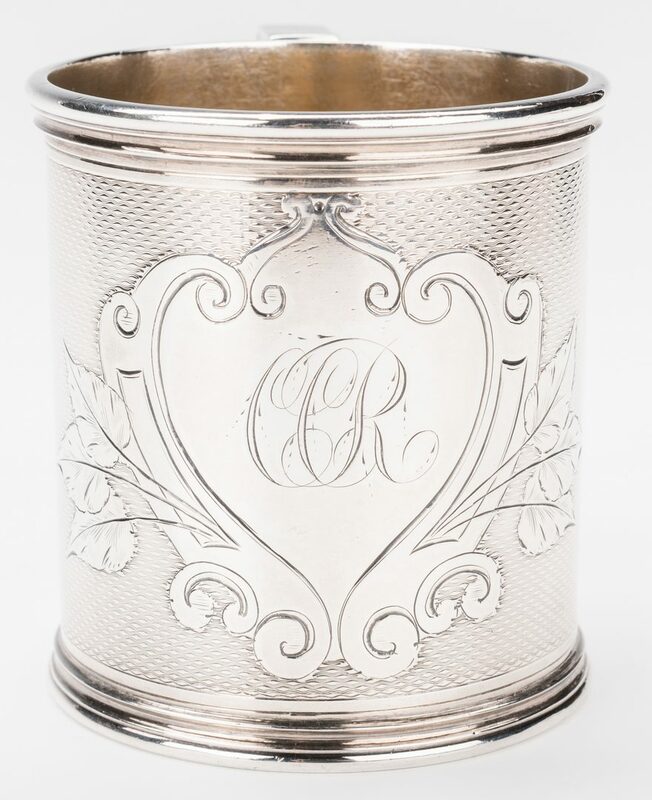 1st item: Gorham coin silver mug with all-over engine turned decoration to body, central cartouche engraved with monogram CCR, marked on underside with lion-anchor-G mark and COIN 02. 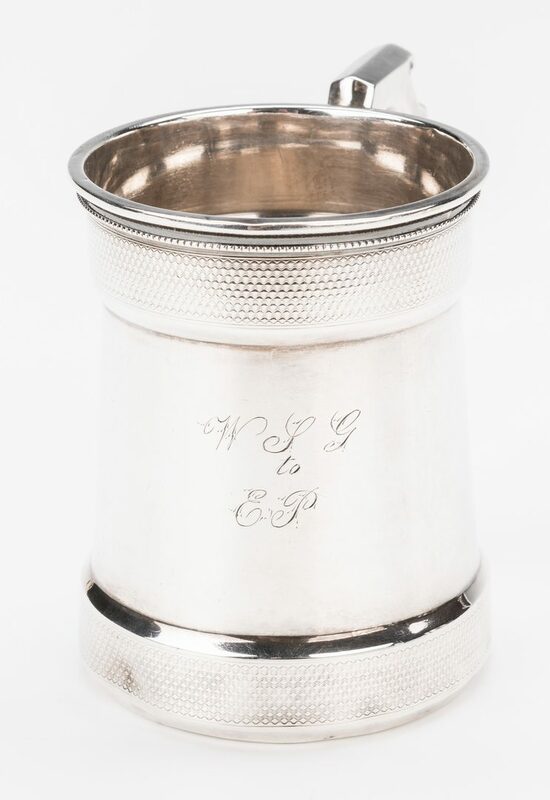 3" H. 2nd item: Small Wood and Hughes coin silver mug or cup with bands of engine turned decoration surrounding a central engraved inscription WSG to EP, marked W & H 900/1000 on underside, 2 3/4" H. 7.97 oz troy. 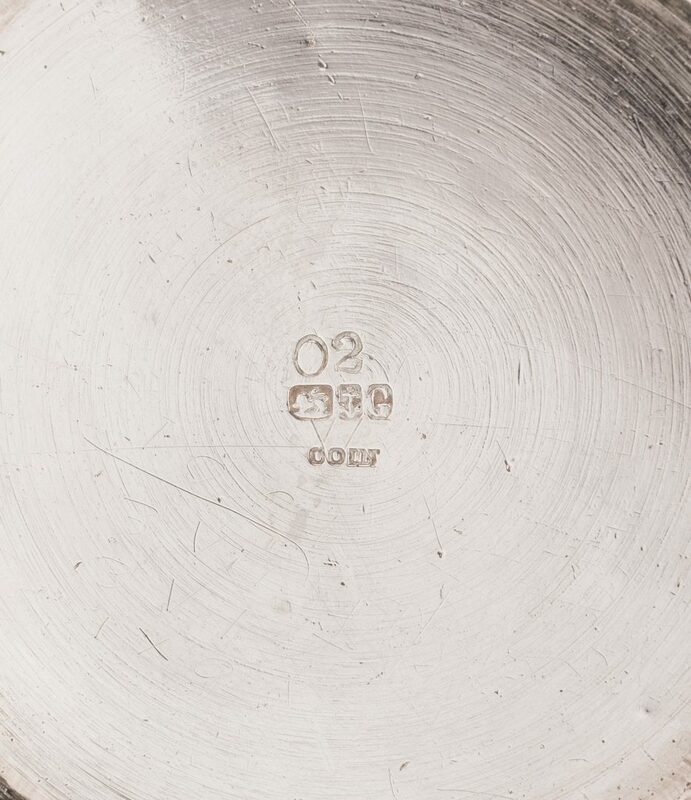 CONDITION: 1st item: Excellent condition. 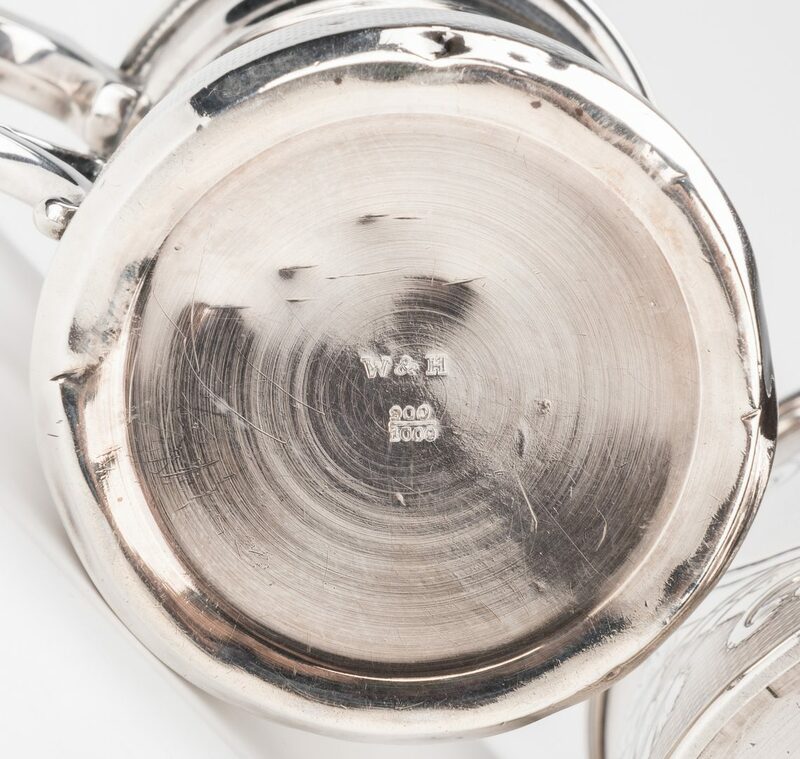 2nd item: Some small dents.